Enhance your outdoor living space’s ambience by adding our starry string lights. 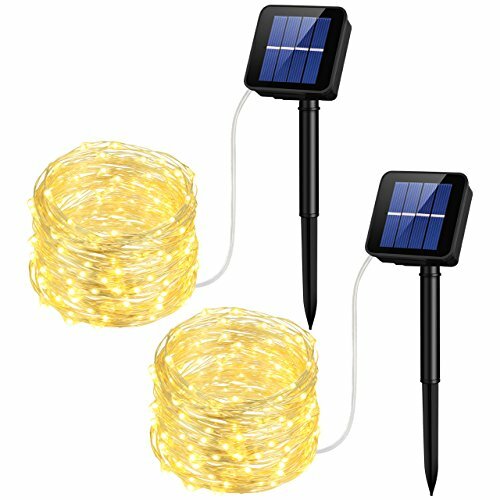 Ideal for deck, patio areas and safe to use all around the house, this string lights is solar-powered, so you can enjoy the lights at night for free. 1. Make sure that the solar panel is not sheltered from the sun, because it needs to absorb enough energy from the sun. 2. It is charging only when the switch is turn ON. 3. It is only designed to be protected from the rain. Please do not immerse it in the water. The product includes a 45 days money back and 18-month warranty. Any questions, please feel free to contact us.